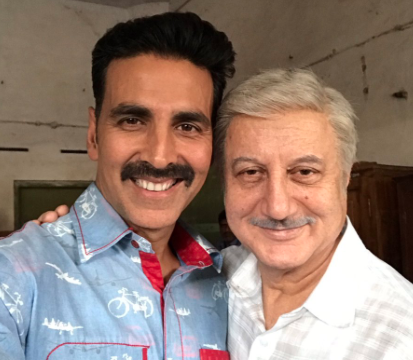 Veteran actor Anupam Kher plays a fundamental role in Akshay Kumar’s upcoming film Toilet: Ek Prem Katha. The actor believes that a film like this is the need of the hour and completely relates to it. “What I really like about the film is that it is a romantic comedy that gives out such a relevant social message. There are very few film makers who can take a subject like this and make it an entertainer with romance and comedy,” Kher added. Well we’re sure Anupam Kher will impress us as always with his role in Toilet: Ek Prem Katha. Produced by Viacom 18 Motion Pictures, KriArj Entertainment, Neeraj Pandey, Plan C Studios, Cape of Good Films LLP and Abundantia Entertainment, Toilet: Ek Prem Katha stars Akshay Kumar and Bhumi Pednekar. Directed by Shree Narayan Singh, the film will release in cinemas on 11th August, 2017.